Round guard in Hindi is called tinda. Most of it's recipes are made and eaten in north. 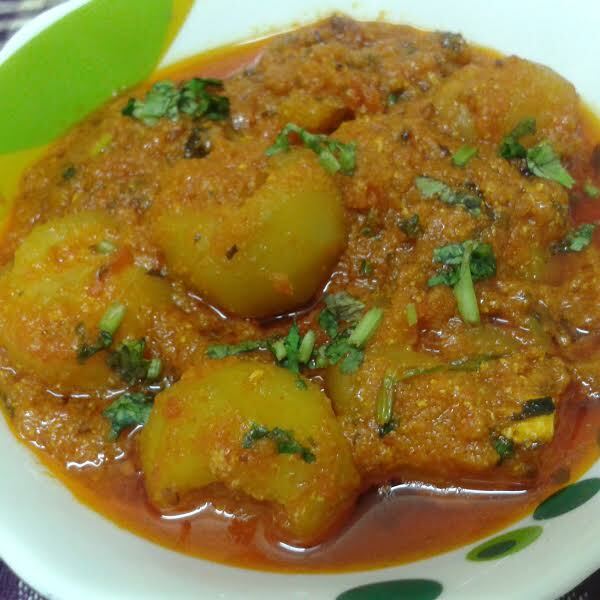 Bharwan tinda, tinda dry sabji, tinda masala, etc are made in their own way using spices. It's mostly served with daal chawal or parantha. sliced onion 1 large nos. 1. Cut the top of round guard (tinda) like a cap, Gently scoop out the centers, keep aside. 3. Heat the oil in a pan and pop the cumin seeds, now saute the ginger, garlic paste. 5 Add tomato puree cook it to 5 minute add tinda, salt and kasoori methi. 6. Cover and cook 10 minutes.